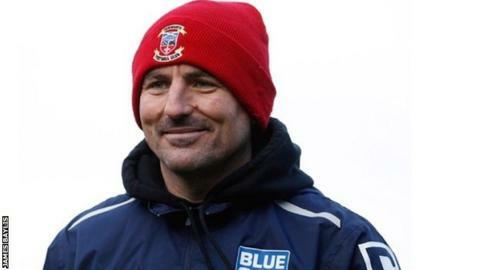 Tamworth have appointed caretaker boss Dale Belford as manager on a one-year contract after he guided the Lambs to safety in the Blue Square Bet Premier. The 45-year-old former goalkeeper was originally handed the reins in January following the sacking of Marcus Law . And Tamworth lost on seven of their final 19 matches to finish 19th in the table, five points clear of danger. Belford will continue to be assisted by Scott Lindsey, who he brought in as his number two the day after taking charge. It is the second time Belford has kept Tamworth up, having also taken over in a caretaker capacity when Des Lyttle departed in April 2011.